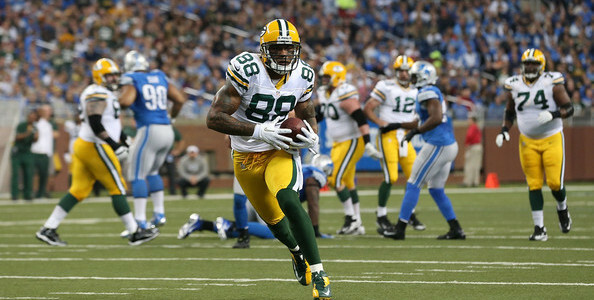 Now that the New York Giants have let go of Brandon Myers, there is an opening at tight end and many reports are speculating that the Giants will look to sign Green Bay Packers’ free-agent tight end Jermichael Finley. On paper this looks like a great fit, as Finley has the size and strength to become a major factor in the Giants’ pass attack. He runs great routes, blocks well and would provide Eli Manning with a big target in the red zone. He has all the requisite tools you want in a tight end. In six years in the NFL, Finely has recorded 223 receptions for 2,785 yards and 20 touchdowns. So, Finley knows how to play the game at a high level. His experience at the position would be an ideal fit with the Giants. However, Finley does have a sordid past with injuries, as he has also missed 26 games in those six seasons. Even worse is that Finely is coming off spinal-fusion surgery. With so many bouts with concussions and head trauma you have to ask if playing football is wise. However, Finley has maintained he is fine and will continue playing football and thus making himself available next March on the free agent market. Last year was a lost season due to the neck injury. He missed 10 games last season and registered just 25 receptions for 300 yards and three touchdowns. Considering that new Giants offensive coordinator Ben McAdoo was at one time the Packers tight ends coach, there is a similarity with Finley, not to mention his backup in Green Bay, Andrew Quarless. Both tight ends would be a huge improvement over what Myers provided the Giants last year. Myers, after some initial fanfare, was a flat-out bust en route to recording just 47 receptions for 522 yards and four touchdowns. And with Bear Pascoe nothing better than a change-of-pace pass catcher and more of a blocker, the Giants need for a hulking, athletic and play making tight end is indeed pressing. While Finley has some red flags attached to his name, he would still be a significant upgrade at the position and with his health a concern, the Giants could get him at a decent discount. Sure there would be some risk in signing Finley, but the reward could far exceed said risk here. It’s a risk the Giants may have to take. Even if the Giants don’t sign Finley they could take the cheaper route and pursue Quarless harder. But in any event, the Giants appear to be on the right track in acquiring the services of either Finley or Quarless.